Are you a trucker looking for some handy tips for driving on a budget? Did you just get your trucking authority and want to build good habits? Saving precious bucks while you are driving your truck is not an uphill task. You can surely meet your saving goals and make your trucking more budget-friendly by following my advice. The key to managing your trucking finances is adopting safe driving habits. Avoiding this means, you do not have to spend money on repair after the truck accident. Steer clear of getting a ticket or any penalty that may have you engaged in legal proceedings or consulting a professional law firm specializes in truck accidents. However, if you do get a ticket, consult with Baumgartner Law Firm. 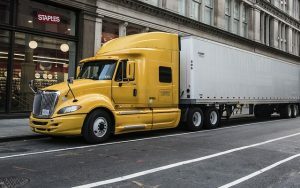 Keep in mind that if you get a ticket for a serious offense such as driving under the influence of alcohol or leaving the scene of an accident, it can lead to suspension of your Commercial Driver’s License (CDL). Your CDL can also be suspended if you get various tickets within a brief time interval. Once you have determined a budget for your trucking, a good way to stick to the ballpark and meet your saving goals is by using gas stations. You will find a plethora of useful resources here like water, beverages, Wi-Fi, snacks and lounging space. Fill up your water bottles here, use the place for your shower and enjoy a cup of coffee at a reasonable rate. If you spot a lounge, take a rest and nosh on some inexpensive snacks to take a break from your driving. You can also use the free Wi-Fi here to check emails and manage your correspondence. For truckers, preparing their own meals is the best way to keep their savings piling up. Avoid buying expensive meals from fast-food outlets or ordering from costly takeaway places. If you are eating outside twice a day, it averages to almost $100 a week and between $3,000 and $5,000 a year. Be wise and cook your own meals; it will hardly cost $1.50 to $3. Buy a trucking-friendly microwave or refrigerator and add up to your savings. Whether you have just purchased a new vehicle or got a used one, upkeep is vital to keep it functioning properly. Caring for your truck is necessary to avoid unnecessary expenses associated with repairs, breakdowns and faulty truck parts. Before you start driving, make sure your truck is in top condition and ready for the journey ahead. Look for any irregularities like odd sounds or movements from your truck. Consult with other truckers for a quick fix or Online Tutorials for any minor issues instead of heading over to an auto shop. Use your CDL to get cool discount offers and avail nice benefits as a trucker. Most outlets like hotels, diners and insurance firms give discounts to CDL holders. Insurance firms have nice plans for CDL truckers. Learn more about these CDL discounts from a friend, a trucking forum or the CDL handbook and avail interesting offers to meet your saving targets.